Mohd Fitri Ashraf Razali has inked a deal with PETRONAS Yamaha CKJ for 2015 and he will make his debut with the factory squad this weekend in the opening round of the PETRONAS AAM Malaysian Cub Prix Championship in Temerloh, Pahang. After four years riding for Harian Metro Y-TEQ SCK Honda Racing, Fitri decided that it was best for his career to split from the Honda camp after he endured a difficult 2014 season that saw him finish 12th overall – his lowest result since he joined the CP130 category in 2012. Fitri will now compete alongside Mohd Affendi Rosli (another former SCK rider) together with Ahmad Afif Amran and all three riders are committed to laying down an assault to bring back the CP130 title and team awards for Yamaha by the end of the season. 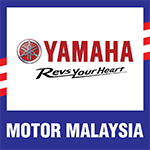 “I am very happy and excited to join and represent the Hong Leong Yamaha factory team in the CP130 class,” Fitri said. When asked about his feelings leaving SCK Racing, Fitri commented, “SCK is a great team. I learned a lot from them and I have nothing but respect for them. “However, there comes a time in every riders’ career that they need to switch to new teams or manufacturers in hope of learning something new. I am at that junction now – that is the main reason why I chose to go with Yamaha this year,” he said.